A few months ago, I got a new car. A new car, with a USB hookup. Excited to try out the accessory, I plugged in my old, neglected iPod Mini, and started scrolling through the playlists. That’s when I came across “Teeters.” I, of course, stopped for a moment, gave a deep sigh, and thought about my amazing dog. The one we lost so suddenly earlier this year. Then, I tried to remember why I had a playlist named after him. Naming the playlist after Tito didn’t surprise me – it’s no secret that I’m borderline crazy for my pets. But there had to be a reason I coined this vast mix of music – from Don’t Stop Believing to Dixieland Delight – after our old buddy. Then it hit me. Tito was originally Lucas’ dog. 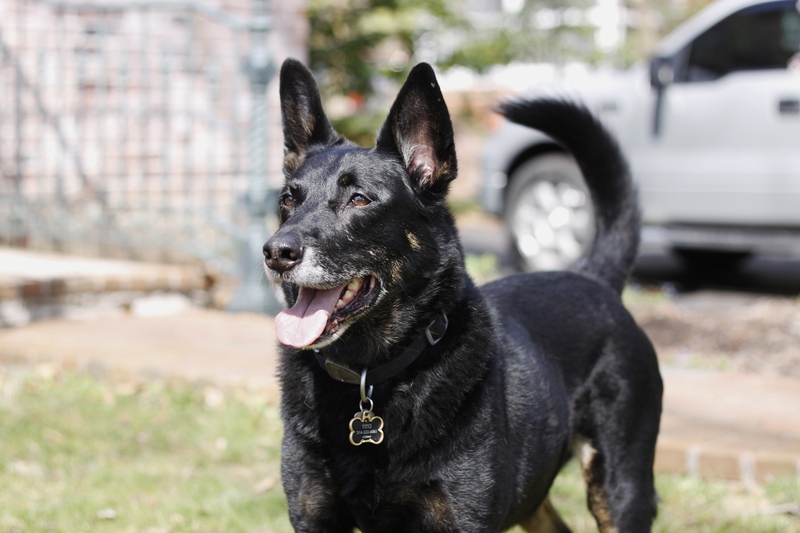 He adopted him as a puppy from the Columbia Humane Society (sure to be a “real” German Shepherd), and eventually made his way back to St. Louis with him. Tito was three when Lucas and I started dating. 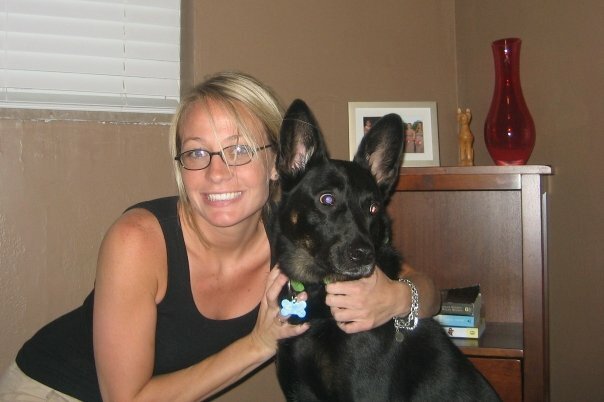 And, in all honesty, before I feel in love with my husband, I fell in love with his dog. 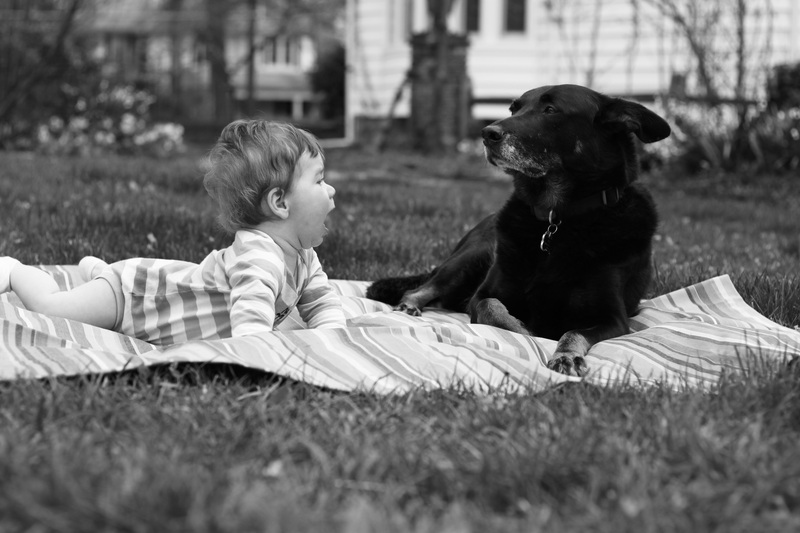 Those loyal brown eyes and big, always-alert ears were all it took. This dog and I had a connection. So, when I was moving into a new house, and Lucas asked me if I’d consider having Tito live with me rather than go into an apartment with him, I didn’t hesitate. Which brings me back to the playlist. It was a party playlist. Rather than throw the old, cliché housewarming party when I moved in, we had a “Sweet Baby Teeters Welcoming Party.” The perfect way to celebrate my new house with my new roommate. I don’t really remember anything significant from that soiree. Lucas and I had a lot of parties in that house. But, I love the fact that I’ll always have the playlist in his honor. And that I fatefully came across it just weeks after we lost him. If there was any dog who deserved a celebratory welcoming, it was Tito. Tito was so smart, genuine, and possessed a level of empathy I’ve never seen in any other dog. 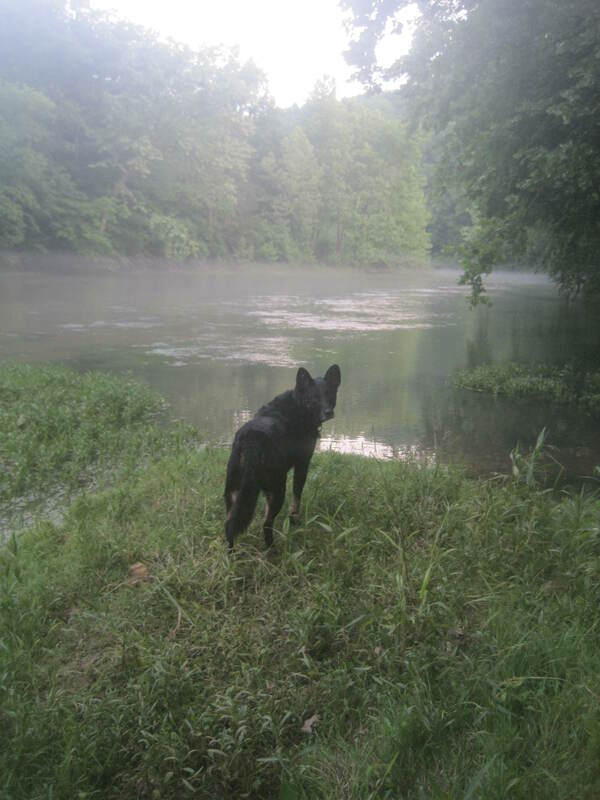 He loved camping and swimming, and even outswam a pair of labs on an 11 mile float trip back in the day. 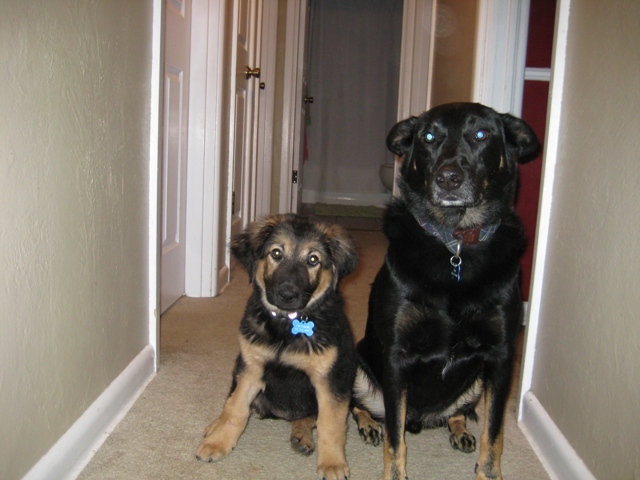 He loved coming to work with me, and was so loyal he never needed the baby gate (though, I will admit, he had quite a tough-guy attitude around other dogs, so it did go up from time to time). 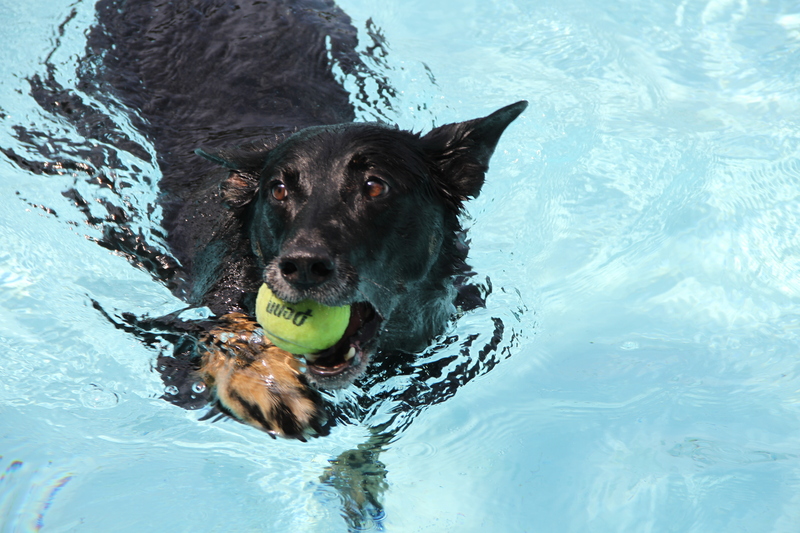 He even joined me out at a meeting at Purina Farms one time, where he got to live it up as “performance” dog, catching a Frisbee out in the ring and attempting to “dive” off the dock for a beloved tennis ball. I beamed like a proud parent that day, knowing my little man had had the time of his life. He had a bizarre love of vegetables. I couldn’t cut up a green pepper without him showing up, begging for a slice. And peas? Forget about it. He was in heaven. One pea, and he’d run to the carpet and begin performing his back-side, wiggle, rub the floor, snort with excitement victory dance. And THEN eat the single green vegetable. 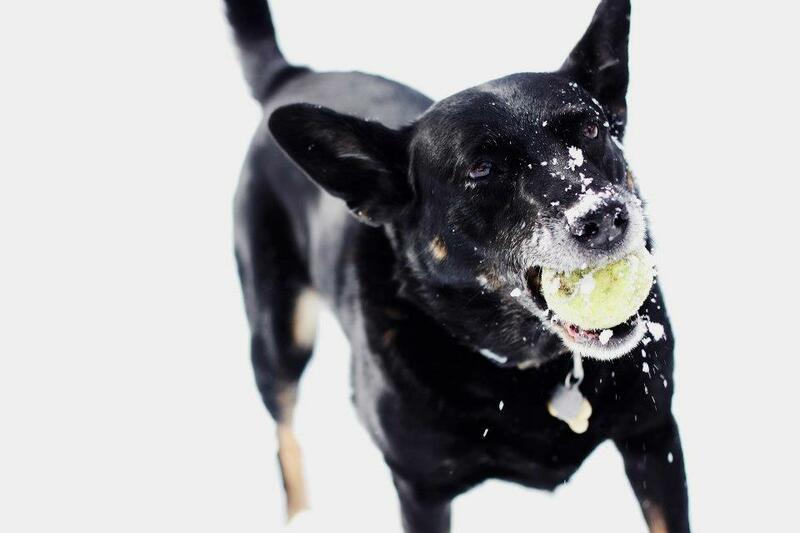 He loved tennis balls. Loved them to the point that I still can’t bring myself to throw away the piles of them in both our home and at my office. He was one of Marco’s first words, “Tee-To. Tee-To.” So fun to say that Marco continued to call Frankie by his name after he was gone. He definitely wasn’t an easy guy to forget. Tito happily playing in the snow, just a few weeks before we found out he was sick. 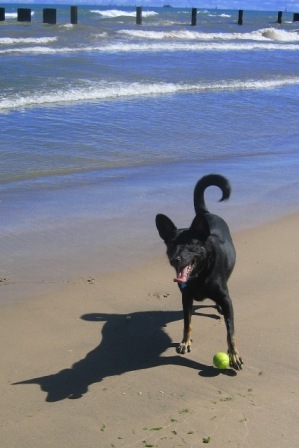 Out at Lake Michigan, again, with his ball. Leading the way, like the alpha dog he was. Tito being a good sport as he began to accept the fact that Frankie wasn’t going anywhere. Tito realizing Marco wasn’t going anywhere, either. Tito passed away this past March. He was only 9. It all happened really quickly. Within 2 weeks of finding out he had a tumor on his spleen, he was gone. It’s a unique illness, in that he’d have an episode, become sick and weak, then rebound and bounce back to the old, lively dog we all knew and loved. He had probably 3 of these episodes until one was powerful enough to take him. All I kept saying was I wanted one last day of nice weather for Tito to go out and enjoy before he died. Considering the cold, wet, unending winter we were having, that was a lot to ask. But, sure enough, we had a Sunday of beautiful, spring-like weather. 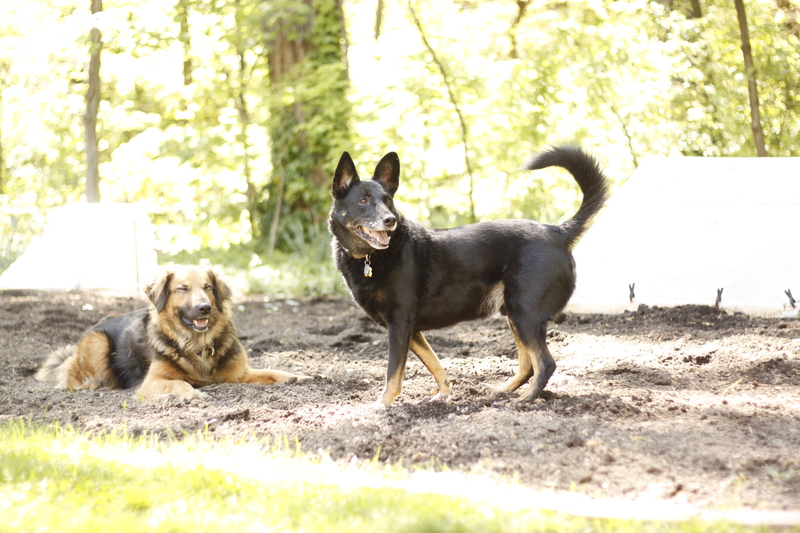 Tito, Frankie and Marco ran around outside, throwing the ball and enjoying the day. Tito enjoyed bowls of peas and some wet dog food. Then, we all went to bed, and when we woke up in the morning, I went downstairs to find Frankie alone, waiting to go outside. Tito had passed away in our family room while we were sleeping. It wasn’t easy, but I took comfort in knowing it happened over night, we didn’t have to go through the additional pain of putting him down, and he got that one last day to be the amazing, energetic, passionate dog he had always been. Tito’s favorite place. 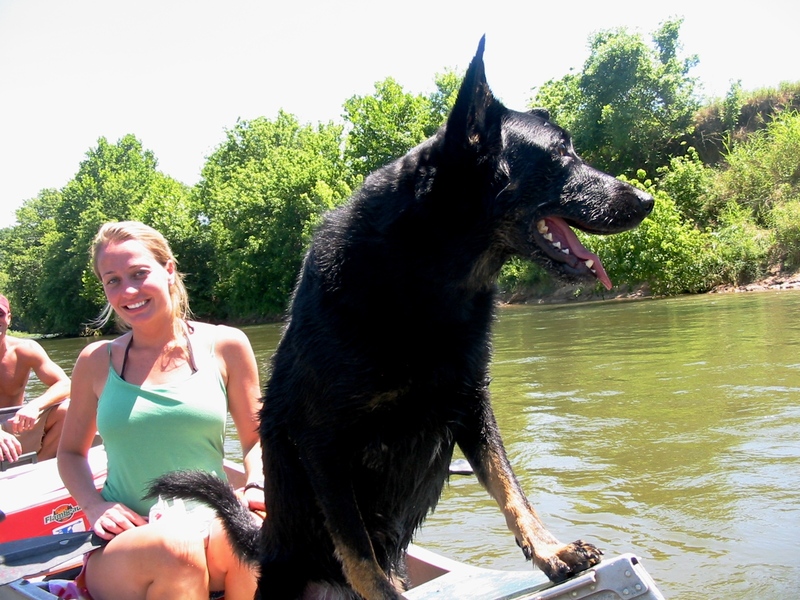 On the river, with his people. We miss you, buddy. Always will. Thanks for being incredible.